You have a number of ways of getting to Phi Phi. Note that Phi Phi is a separate island from the mainland and in getting to Phi Phi, you must choose to go by sea plane, or by ferry. Your travel arrangements from Bangkok, Samui or Koh Phangan might necessitate buses and trains travel as well. On the other hand most people get to Phi Phi, by taking the Phi Phi ferry boats like the Andaman Wave Master part of the Songserm Company. Getting to Phi Phi will take you about two hours on this boat.The earliest trip from Phuket at 8:30 in the morning has big ferries. 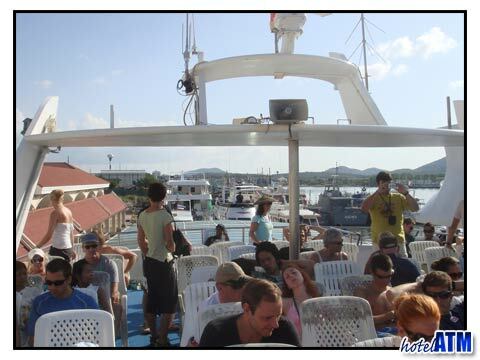 You will leave from the Rassada Pier in Phuket and will be docking at Tonsai Pier in Phi Phi at about 11am. The next to Phi Phi is at 1:30 pm. Return trips from Phi Phi to Phuket start, around 9:00 am and the last trip back to the mainland is at 2:30 pm. 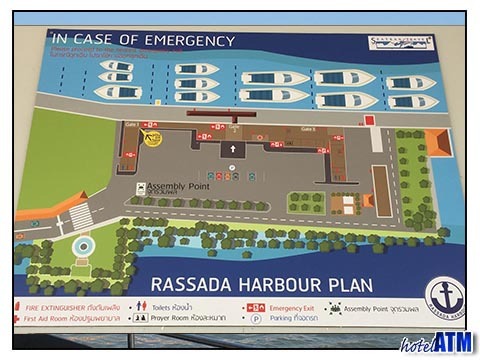 Ferries like Andaman Wave master often have a pick up service from your Phuket Hotel to Rasada Pier as part of the package. If you are in Krabi town, Ao Nang and Koh Lanta there are ferries morning and afternoon that have the same system in place; ie there are ferries that do a one day snorkeling, lunch sight seeing, tour to Phi Phi island and you can hop on a boat in the morning and take the afternoon ferry back a few days later on the way back or to the next destination. See the Phi Phi ferry time table here. These 3 islands on the east coast are in the Gulf of Siam and Phuket is on the west coast and so you need to cross the mainland in getting to Phi Phi Island. Koh Samui has an airport with direct flights to Phuket Airport 4 times a day with morning flights and the last one about 5pm. You would need to get the ferry from Koh Tao or Koh Phangan if you wanted to fly from these islands. The Lomprayah fast catamaran leaves Koh Tao for Koh Phangan at 8.45 am and then leaves Koh Phangan for Samui at 10.45 am arriving at 11.20. It is then a 20 minute minibus ride to the airport. Overland; The agents who sell the ferry tickets and onward bus tickets (called a joint ticket) to Phuket and Krabi will include a pick from your hotel or resort and take you to the pier. The ferries from Koh Tao go to Chumpon on the mainland and the buses go directly to Krabi. The way you get to Phi Phi from Koh Phangan is like a skimming stone! Ferry to Samui, Bus to Lipa Noi pier for the ferry to Donsak. There the bus will pick you up and take you to Krabi. The main ways of getting to Phi Phi island from Bangkok is to take a flight from Bangkok to Krabi or Phuket, take a bus to Krabi or Phuket or take a a train to Surat Thani from Bangkok and then take a bus to Krabi. There are 2 main airports in Bangkok. The older Don Muang does predominantly domestic travel. Thai Airline (for some flights), One Two Go, Air Asia use this airport. Suvarnabhumi Airport is the new main airport of Bangkok and fields most of the International flights. Be careful to get a domestic flight connecting to Suvarnabhumi Airport if your onward travel is international as Don Muang to Suvarnabhumi Airport can take 2 hours getting there. The Bangkok Train station is called Hualongpong and unfortunately they have no way of getting you to Phi Phi Island directly but the travel down through the rural Thai country side is definitely one of the more pleasant ways of seeing Thailand. (http://www.bangkoktourist.com/places_bangkok_railway_station.php). The second class air conditioned carriages are great and the first class are quiet spacious. The buses leave from The Southern Bus Terminal which is near Borommarat Chonnani Road, and this is about 2 km. from Pinklao Bridge. Tel 02 391 2504, 02 391 8097. Most travel businesses will sell you a ticket to include the transfer to the The Southern Bus Terminal. Again this will not be getting you to Phi Phi island but the simple bus station in Phuket town only 4 minutes from Rasada Pier to Phi Phi island or Koh Gao just out side Krabi Town, about 10 minutes to the main Krabi town pier. Sea Plane; (No longer operates April 2012) If you were in a hurry getting to Phi Phi the best option was to take the sea plane. A sea plane left Phuket daily, starting with its first flight at 8:30 am to catch the last flight in the afternoon at Phuket International Airport. Return flights are also scheduled, hourly. Getting to Phi Phi by plane is a short-lived experience since it will take just about 12 minutes to reach the island.